This is a beautiful and cozy rental! 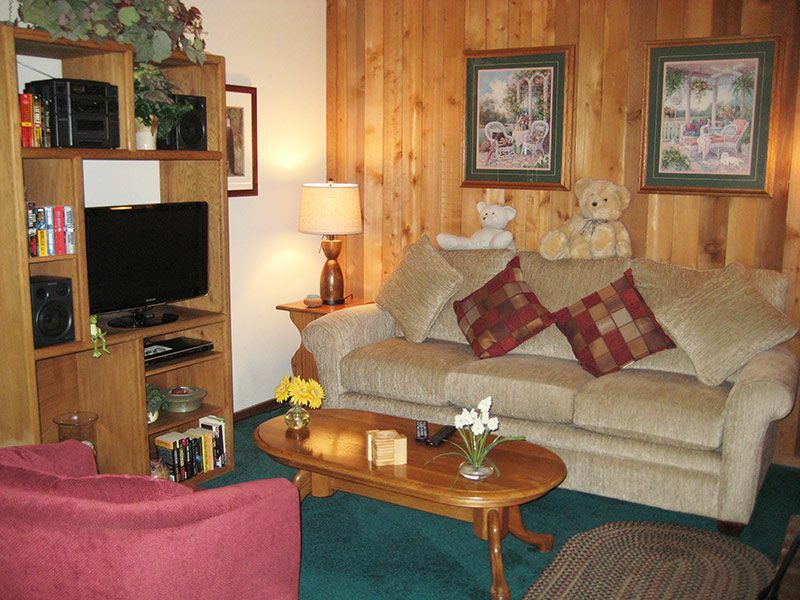 It is a nonsmoking, 2-bedroom unit with 2 bathrooms and a 4 star rating. It has a full kitchen, microwave, pellet stove, 2 flat screen TVs with DVD players (bedroom flat screen not shown in photos new in May 2017), stereo with cd player, free wireless internet access, and phone. The 1st bedroom has a king size bed and the 2nd bedroom has a queen size bed. There are 15 stairs to reach this unit and it is all one level inside. This unit sleeps up to 4 people. Walking to the Village Gondola from this unit is considered 3 blocks including a long steep driveway to reach Lake Mary Road. Unit managed under Mammoth Lakes Business Tax Certificate 864.